Award 2012 was granted for Tommi Jaakkola’s fundamental contributions to the field of machine learning and their applications in many different domains. 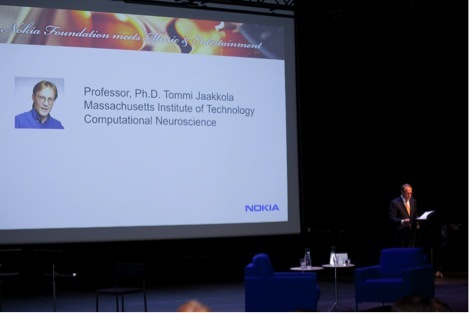 Jaakkola has substantially advanced several important fields of science, such as computational biology and information retrieval. His work has had a wide impact across many scientific communities and you have guided many young scientists to successful careers. Tommi Jaakkola’s own career provides an inspiring and encouraging example for scientists, also ones coming from a small country. He has showed how to reach the forefront of scientific research at young age and how to continuously expand human knowledge in collaboration with other top scientists.